I wonder what's going to happen with Macau. The teams have usually been from those series so keeping the old cars would make sense. But Macau is a FIA-santioned race so will it be included in the ex-GP3 schedule? Or will they use the regional F3 cars? Keeping the old cars racing is only ever going to be a temporary situation. If there are no new vehicles being built for a series then it's doomed to a second tier status and a short life. It may last a year or two but it won't be the destination of choice for aspiring young drivers. Do you think we'll see the BRDC British F3 Championship become one of the proposed 'regional' FIA F3 championships? Making it a spec car series is a HUGE mistake, no one seems to understand what drives fans to become fans. merge two series to have even less seats/jobs available for drivers/mechanics. seems to be the way of the world these days. sad. What does drive fans? Have been a fan of F3 since days of 500cc Cooper -Nortons 1955 Have always felt equal cars make better racing? And to be fair, Dallara killed the competition a long time ago anyway. F3 by Renault? I haven't heard of this. Or you mean the 2.0 Eurocup? Edited by Anja, 01 August 2018 - 13:16. Interesting, it looks like they modified the text of the Italian article and replaced the details with more generic assumptions like "the chassis will be new" and "chassis and engine suppliers are yet to be announced". Not sure if Google Translate tricked me last time, or someone wasn't happy with the info they shared. Edited by balage06, 19 August 2018 - 20:35. Funny they keep the high noses while in F1 it is lowered for safety. In respons, the god awful halo is set to ruin yet another class. Having tested with the outfit in GP3 post-season testing last year, Jehan Daruvala makes the switch to the Horner Family's junior outfit. Not sure who the other two drivers would be given Falchero's performance and Aubry's WEC commitments. 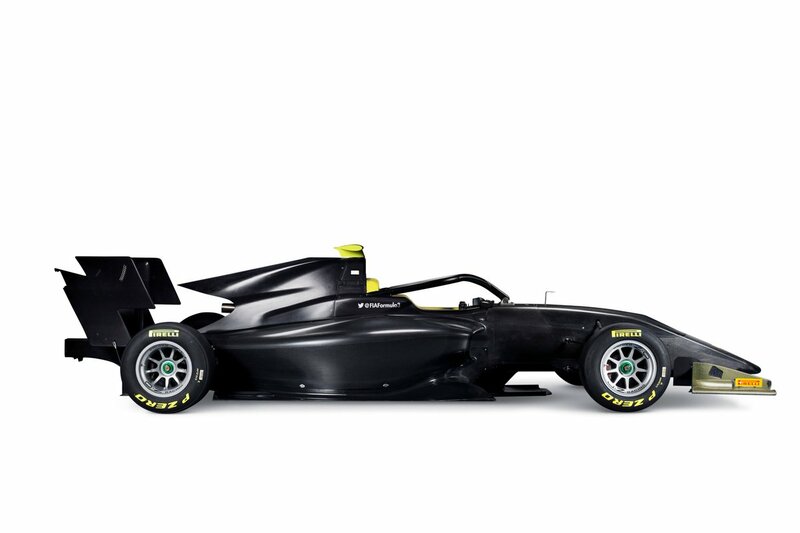 My guesses here are that Sacha Fenestraz stays for the merger but switches from Carlin to ART for better fortunes and will be joined by fellow Renault juniors and FR2.0 frontrunners Victor Martins and Max Fewtrell. All four GP3 drivers move on to newer pastures. Pulcini moves to Campos's F2 division and Mencheca for new pastures. Laaksonen remains with Alex Karkosik joining from EF Open and Nikita Troitskiy switching from Carlin. Ferdinand Habsburg remains with the outfit for another shot at glory. FR2.0 frontrunner Logan Sargeant reunites with his former British F4 outfit and also joining them Yifei Ye. Petru Florescu remains with the outfit for his first full season of the category and is joined by British F3 race winners Tom Gamble and Manuel Maldonado. Jannes Fittje remains for his first full season of the category and Correa for his second. Sebastian Fernandez switches to the Swiss outfit from Motopark. Fabio Scherer and Jonathan Aberdein remain for a second season with the German squad (with Ticktum and Vips moving to F2 and Sato to Japanese F3 or Super Formula). British F3 championship leader Linus Lundqvist joins the outfit. Niko Kari remains for a third shot of glory. Christian Lundgaard and Bent Viscaal join with the outfit. Robert Shwartzman and Mick Schumacher to stay and be joined by Lorenzo Colombo (who I predict will be added to the Ferrari Driver Academy). David Beckmann and Pedro Piquet remain with the outfit for a second season with the third seat going the way of Devlin DeFrancesco. EF Open championship leader Felipe Drugovich reunites with his old F4 team and is joined by returnee Artem Petrov and ADAC F4 frontrunner Frederik Vesti. Other pointer: Hitech either withdraw or merge with ART. Edited by OnAllCylinders, 20 August 2018 - 12:58. 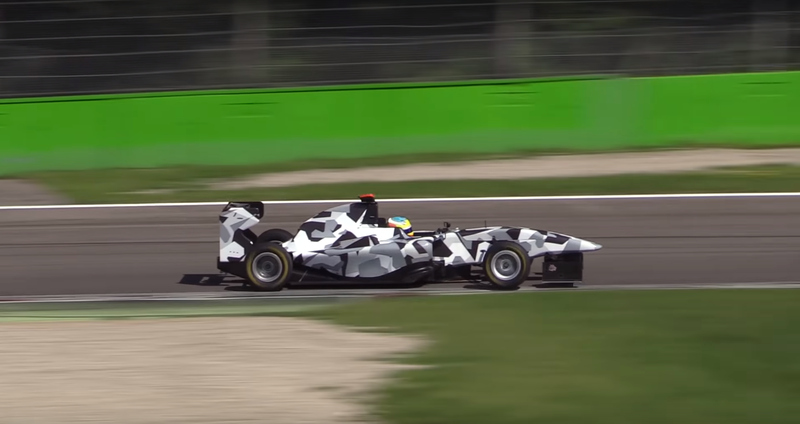 Some say that's not a new chassis in development in the video above, but a slighty modified version of the second generation GP3 car used for driver training. Armstrong, Zhou, Schumacher, Vips and Ahmed (maybe Aron) move from Euro F3 to F2. Hubert, Ilott, Mazepin, Piquet and Colombo move from GP3 to F2. Aubry and Alesi depart for WEC. Boccolacci and Lorandi switch to F2 full-time. Dan Ticktum leaves Euro F3 for Super Formula. Tveter and Mencheca leave for the IndyCar scene. Joey Mawson, Jake Hughes and Tatiana Calderon move on to pastures new. Edited by OnAllCylinders, 03 September 2018 - 13:27. Application process begins for teams entering the new F3 category. 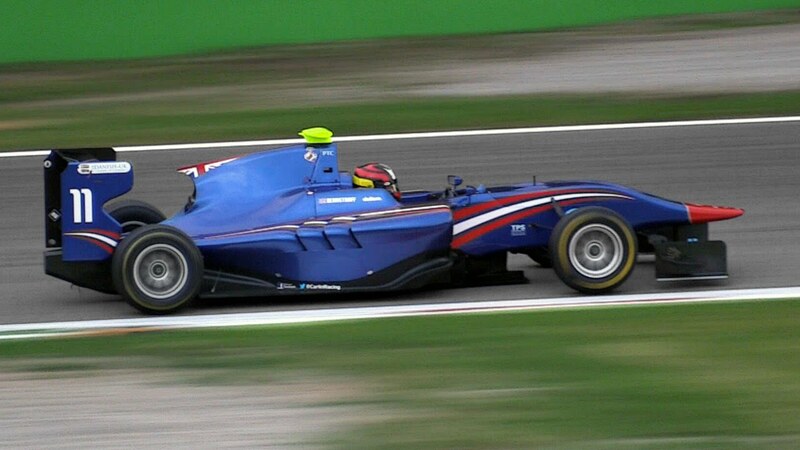 These include unspecified teams from GP3, Euro F3 and even FR2.0 Eurocup. Facinating? Seems all that is happening is GP3 series is being renaned F3? What will the series for current F3 cars be called? What will happen to classic events Pau-previously downgraded from F3000 & Macau -ex F.Atlantic? Edited by Rob29, 06 September 2018 - 07:29. I don't think F3 has ever been about 'fans'. It's a place young drivers come to spend money and develop vital skills - and the same for young engineers in what was a more 'open' formula. How does bouncing from one spec series to the next possibly prepare anyone for the rigors of F1/Prototype racing? Macau isn't a part of the championship anyway, it will be fine one way or another. I'm liking this thread, but cant see Hitech GP leaving or merging, Oliver Oakes has set up a strong team with a large number of team sponsors, and has branched into Asia F3, so would expect to see them in the new FIA F3. i do hope Gerhard Berger's suggested bringing back of Euroseries F3 happens as i want to see Pau and Norisring continue, plus Macau of course. Being a fan of F3 / F3000 from 80's onwards I'm well naffed off that all decent junior single seaters will sit on the F1 programme and therefore cost F1 prices to watch. There are some Formula Renault Eurocup teams interested in joining International F3. That's because it's the last season of Formula Renault Eurocup. Could be Josef Kaufmann, Valles, Tech 1 and JD. Autosport report that all current FIA F3 teams have entered for next years, so that included Hitech GP, so if all GP3 teams do aswell thats 11 teams for 10 spots, and that before any formula Renault teams enter aswell. I guess we can now create a silly season thread for this. Edited by PiperPa42, 12 October 2018 - 11:59. No Motopark thats harsh by Bruno Michel, seems to have promoted Mercedes supported F3 teams and not the VW ones other than Carlin. HWA joining is interesting, clearly a way of promoting Mercedes back juniors through the ranks. HWA: Sophia Flörsch, ? ?, ?? No promotion for Ferrari juniors Armstrong and Scwhartzman? The latter in particular has done very well lately. By the way: There are rumours about Nicolas Todt bought Prema. He definitly is to withdraw from ART. Edited by OnAllCylinders, 12 October 2018 - 18:45. 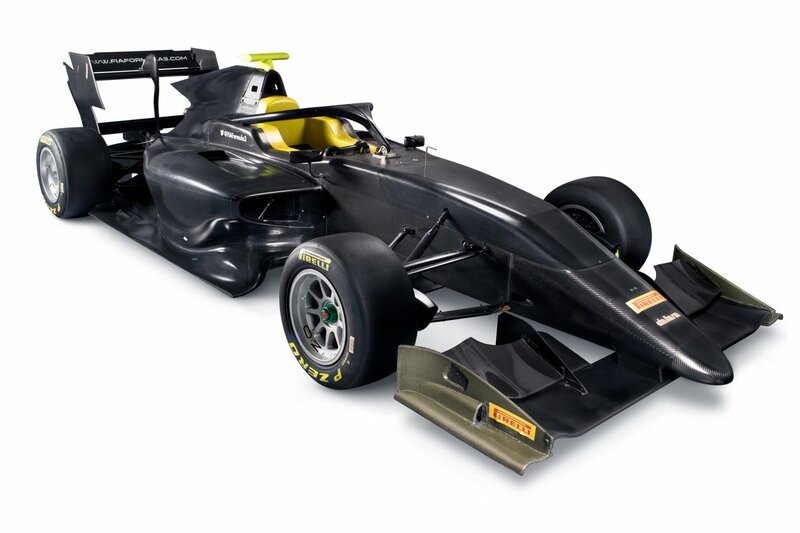 Can anyone provide a good reason why they are only limiting the new F3 series to 10 teams? When clearly VAR and Motopark want to be involved? Surely this seems a bit odd. I was wondering about that too, the 30 car limit was mentioned a while ago but without any specific reason behind it. Will there still be a European F3 series next year? Or are we essentially losing a series? The current chassis will still be used as a DTM support series under a new alias. Edited by OnAllCylinders, 20 October 2018 - 08:47.
and Euroformula Open will also open to the current engines (they already use the same chassis). And there will be a Italien sactiones Formula 3 series as well. 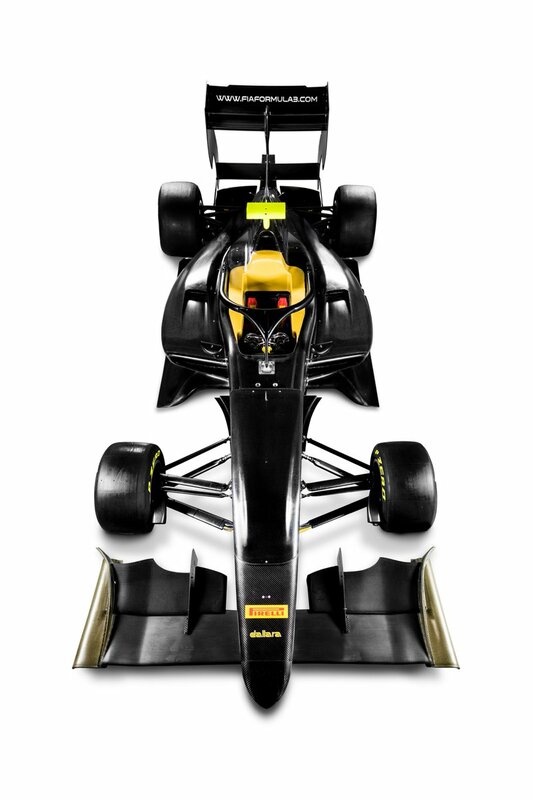 And there will be Formula Renault Eurocup with F3 regulations. I'm surprised we haven't seen a single spyshot of the new car yet. I think they said the plan is to begin testing in November and showcase it in Abu Dhabi. Tomorrow. 18.30 (GMT+4). We will unveil our car in the @F1 paddock. You will be able to follow it LIVE from our Facebook page. https://www.facebook.com/FIAFormula3/ That is all! The FIA Formula 3 Championship unveiled the F3 2019 car to the international media at the Yas Marina Circuit today. The new car, which will be raced in the 2019, 2020 and 2021 seasons, was revealed in the Formula 1 paddock ahead of the final F1 Grand Prix of the 2018 season. The F3 2019 is the best compromise between the current GP3 Series and FIA Formula 3 European Championship cars. It features a naturally aspirated 3.4 litre bespoke Mecachrome 6 cylinder engine, which delivers 380 HP at 8000 rpm. The philosophy of this car’s technology was to find a middle ground between performance and cost effectiveness wherever possible. The aerodynamics were optimized to facilitate overtaking with very low ride height sensitivity and a wide range of suspension set up possibilities. The car also complies with the FIA F3 2019 safety standards which include anti intrusion panels and a steel Halo. The car has made a successful shakedown on October 11th at the driving school circuit in Nevers Magny-Cours and later completed 165 laps over the following two weeks also in Magny-Cours. The development programme will run over a number of tests across the remainder of the year to accumulate sufficient mileage and ensure that a reliable car will be delivered to the teams. Three test sessions in December will be focused on performance testing, where the car will be pushed to its limits. A first machine will be handed over to the teams in mid-January 2019, and the second and third car will be delivered together in February. There will be a shakedown with one car per team during that same month to allow them to become acclimatised to it ahead of the first official pre-season test. Pirelli is the official tyre supplier to the championship, and has been integral to the design process to ensure continuity with respect to the tyres.  Aerodynamics optimized to facilitate overtaking. Very low ride height sensitivity and wide range of suspension set up possibilities.  Compliant to FIA F3 2019 safety rules.  Compromise between performance and cost effectiveness wherever possible.  Extensive use of composite materials.  Electro-hydraulic gear shift system.  All in one ECU- GCU – Data logger equipment.  High speed data acquisition system but no telemetry.  F1 type Virtual Safety Car system.  Chassis designed by Dallara Automobili. 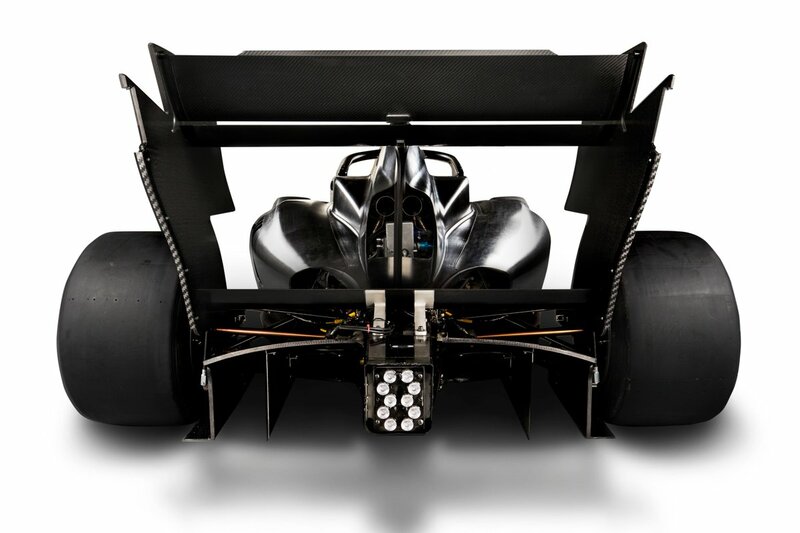  Carbon Monocoque complying to FIA F3 2019 Safety standards.  Front and rear wing made out of carbon composite material.  Bespoke Mecachrome 6 cylinder 3.4 litres naturally aspirated 380 HP @ 8000 rpm.  Fly by wire throttle system.  Bespoke six gear longitudinal gearbox designed by Hewland.  Magneti Marelli electro-hydraulic command via paddle shift from steering wheel.  Three specific compounds developed for GP3 to provide the most suitable compound for every circuit.  A top speed of 300 km/h.  Lateral acceleration up to +/- 2.6 G.
 Acceleration 0 – 200km/h: 7.7 seconds. Edited by statman, 22 November 2018 - 18:18. Little unimpressed with the look of that thing. And it's not the Halo at all but that huge bulbous forward monocoque/nose. Probably to reduce cost, and they aren't concerned about the small additional weight increase. Edited by statman, 26 November 2018 - 15:10.